The store owner's son was also arrested in the case. Police have arrested a third suspect in the shooting death of a prominent Texas jewelry store owner in an alleged "murder-for-hire" plot. 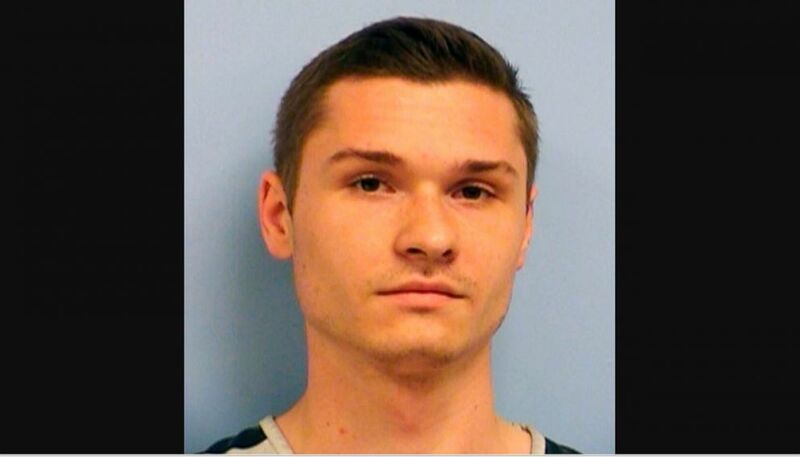 Johnny Roman Leon III, 22, was arrested by Travis County Police Wednesday for criminal solicitation of capital murder (first-degree felony) in the death of Ted Shaughnessy, according to a police affidavit. The Austin-based jewelry store owner was found dead on March 2 when an unidentified suspect broke into his home and shot him to death at about 4:45 a.m., according to an arrest affidavit in the case. Ted’s wife, Corey Shaughnessy, who was in the home's bedroom at the time, exchanged fire with the unknown gunman before hiding in a closet and calling 911 to report her husband had been shot multiple times, the affidavit states. When officers arrived, the affidavit says Ted's body was found in the kitchen, while the couple's Rottweiler was found shot to death in their bedroom -- where a window was open with the screen removed. 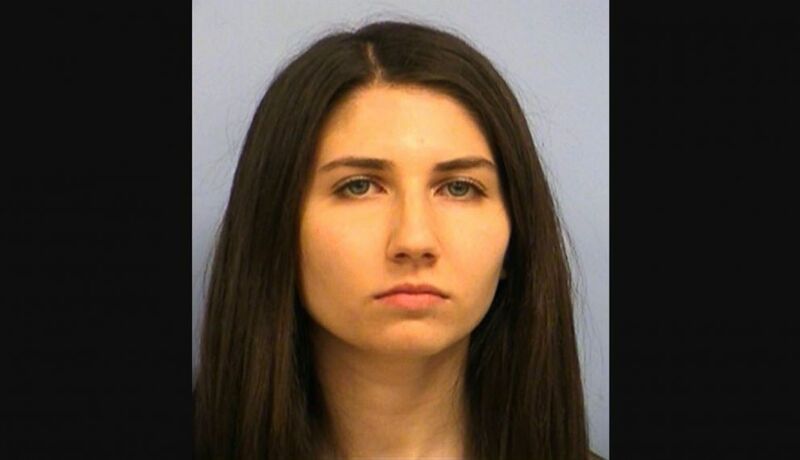 The Travis County’s Sheriff’s Office arrested Ted Shaughnessy's son, Nicolas Shaughnessy, and his girlfriend, Jaclyn Alexa Edison, both 19 years old, on May 29 and charged each of them with soliciting to commit capital murder in a plot to kill both his father and mother. Surveillance footage from Nicolas Shaughnessy's home revealed that he met with two men on Feb. 28 and police were able to track down one of the men, according to a police affidavit. The man -- who is only identified as "the source" in the affidavit for safety reasons -- admitted it was him in the video and identified Leon as the other man. "At first, Nick and Johnny would not tell the source what they actually wanted him to do, but they eventually told him they needed two people to kill two people, by shooting them," the affidavit states. "The source said he was offered $2,500 to do it, another $2,500 after it was done, and then another $5,000 later on." (AP) Nicolas Patrick Shaughnessy, 19, was arrested Tuesday, May 29, 2018, with a second person on allegations that they conspired to hire a gunman to kill Shaughnessy's father. In the arrest affidavit, Nicolas Shaughnessy and Edison told police they were at their home in College Station, Texas, at the time. Additionally, text message conversations from Nicolas’ phone between he and Edison were found on a computer. Messaging Nicolas, Edison asked, “Do they want 50K or not.” To which he responded, “We will see. ... I’m sure they’re [sic] casual jobs are around 10.” The affidavit also shows someone at Nicolas and Edison's College Station home disabled security systems remotely for his parents' home on the night of the murders. Nicolas Shaughnessy also volunteered in police interviews his friend Spencer Patterson, also 19, had entered the Shaughnessy home through a window before with Nick, affidavit says. A search warrant found text messages between Patterson and Nicolas in which they discussed payments for an unspecified job and Patterson asking for suggestions, with Nicolas responding, "No mask needed cuz they'll be dead." (AP) Jaclyn Alexa Edison, 19, was arrested Tuesday, May 29, 2018, along with Nicolas Patrick Shaughnessy on allegations that they conspired to hire a gunman to kill Shaughnessy's father, a jeweler slain in his home in March. Detectives also gathered evidence through several confidential informants, according to the affidavit. On May 29, police met with an individual who said Nicolas Shaughnessy offered monetary payment in exchange for killing his parents. The informant told police Nicolas was expecting to make $8 million from his parents' death, including $2 million from a life insurance policy and $6 million from selling the jewelry business. Nick Shaughnessy is being held on $3 million bond, while Edison is being held on $1 million bond. Leon is being held on $3 million bond.